We lost a friend and crewman last month. Gerry Thompson (71) passed away on October 8th, 2018. 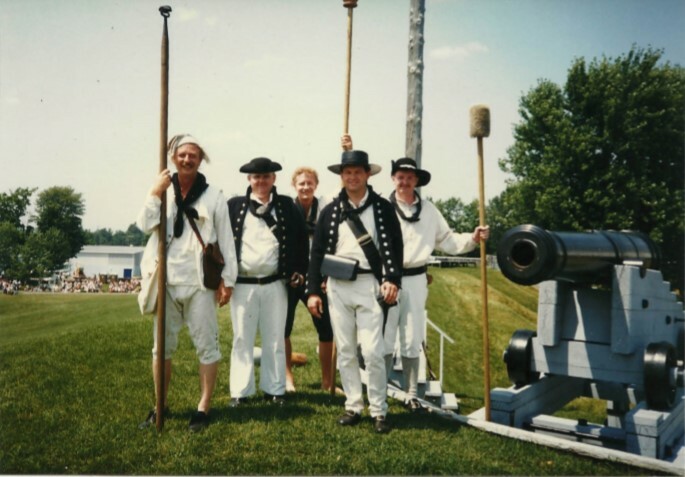 He was a active member of the Friends of Crysler’s Farm group for many years, a very interesting long term historic interpreter gardener at Upper Canada Village and was a faithful 1st member (1986) of my recreated Royal Navy 1812 cannon crew that participated in many reenactments in the area over the years. We will miss his depth of knowledge on historical facts and stories, his work with the Friends as well as his friendship. 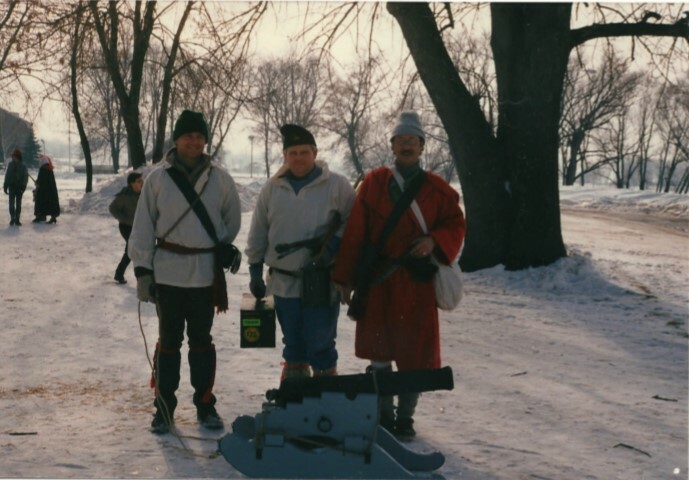 Pictures taken at Ogdensburg, February 1987 and Fort Wellington Loyalist Days 1989. 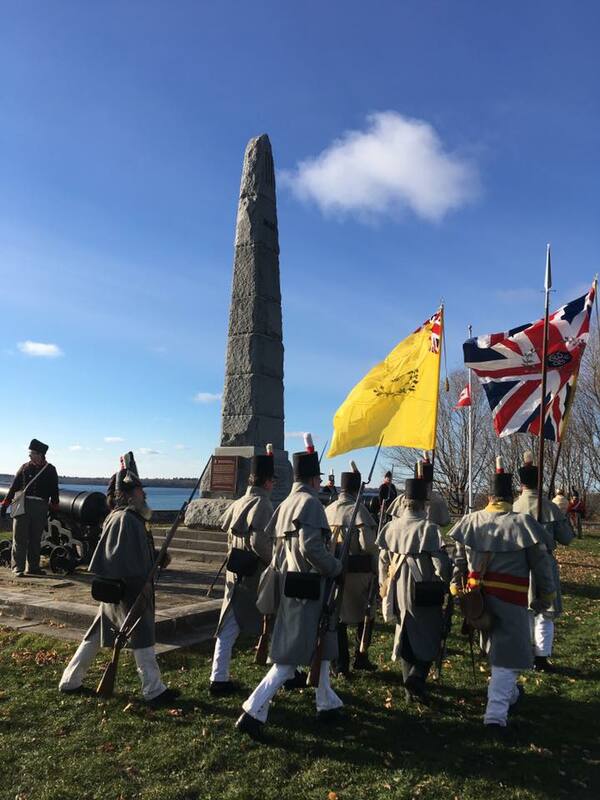 This year’s Remembrance Day ceremony featured a rare treat. 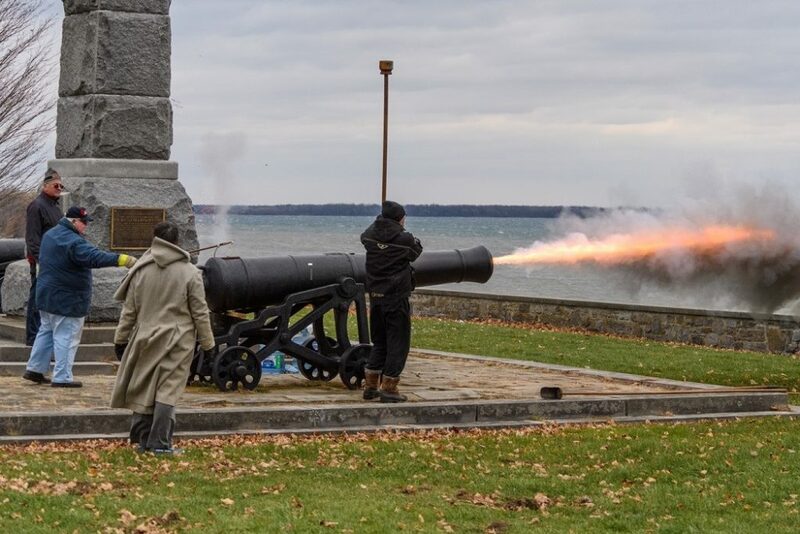 The cannon at the Battle Monument were installed by the Canadian Federal Government in 1895, and were last fired at the opening of the Crysler’s Farm Battlefield National Historic Site in 1961. This year, they were fired again for the first time in over 50 years. The cannon themselves are a Blomefield Pattern 24 pounder cast iron gun, cast in 1806 in Falkiek Scotland at the Carron Foundry. They likely came over as ships guns mounted on the larger warships of the day. The iron skeleton carriages they’re mounted on are for peacetime only, and in time of war the cannon are put back on wooden carriages. 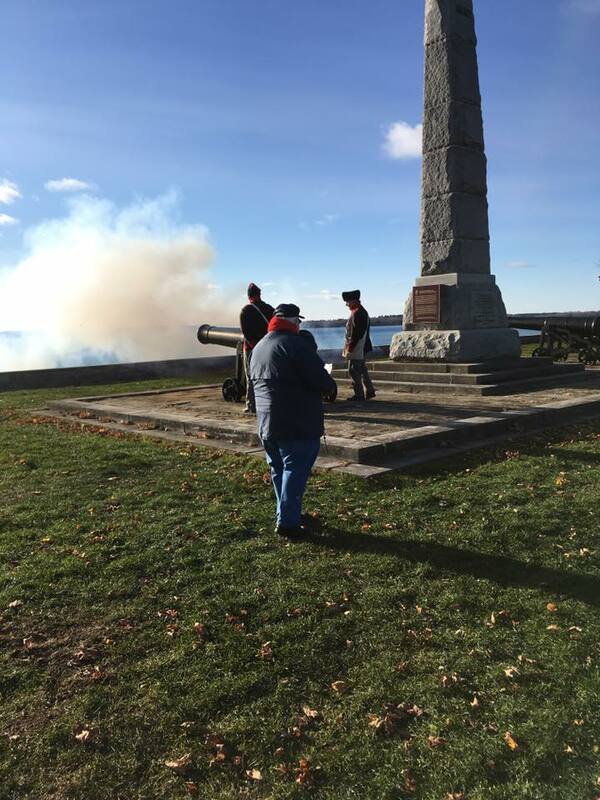 The service load in the day was 8 pounds of powder; for the Remembrance Day ceremony, 1 pound of powder was used for the blank signal round. I took out 40 lbs of debris, sticks, stubbie beer bottles, long neck bottles, Timmie cups, dirt and sticks and 26 cents in coins. The powder charge is set off with a quill filled with fine powder lit by a linstock consisting of lit slowmatch and a long handle as can be seeing when I touched off the gun in the photo.